Evaluating and Accommodating the Plus Sized Worker provides the learner the tools and knowledge needed to properly assess this unique population and provide effective products and behavioral modifications to minimize ergonomics risks. When faced with doing an ergonomics evaluation for a Plus Sized Worker (PSW), many ergonomists may feel somewhat anxious or uncomfortable. In such situations, many ergonomist's "go to" solutions for the average worker are inadequate or not usable at all with this population. However, there are solutions and answers for the ergonomics needs of this population of workers. Remember when performing an ergonomics assessment for a PSW, the assessor is doing so as an Ergonomist. It is important to make that distinction and emphasize that as an Ergonomist we are there to find the biomechanical solutions for the workstation problems that are encountered by fitting the workstations to the PSW. Thus, the Ergonomist is not a dietitian, not a psychologist, not a preacher nor a fitness advocate. Ergonomists must focus on what can be done for the individual being assessed and their workstation at this particular moment and in this particular place, regardless of the challenges that this particular client presents. Topics covered include obstacles to a successful set-up; body types; the mechanics of sitting; properly adjusting the office chair and seating options; practical adjustments to the work environment; types of sit/stand solutions and more. The time frame for completing the online course is 30 days for each participant. 2 Contact Hours CE. View the Workshop Presentation Modules. Take and pass a 25-question exam with a 90% correct score. 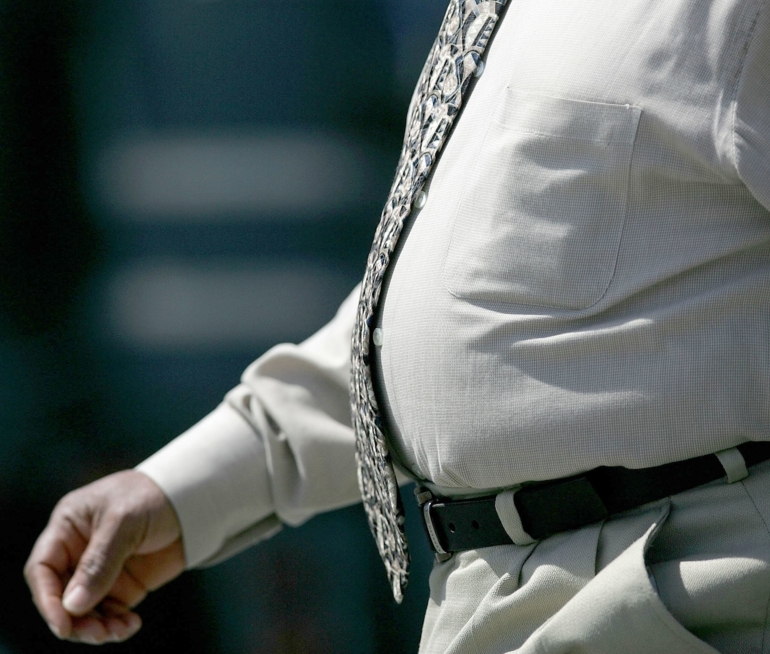 Identify the challenges facing the Plus Sized Worker (PSW). Explain how to help reduce the risks of MSD's for a PSW. Build resources for PSW ergonomics issues. Identify the biomechanical issues of being a PSW. Plan workstation modifications to improve the comfort and proper fitting of the PSW. Reduce employee injuries using improved ergonomics awareness for the PSW. Bob has lectured and consulted in Ergonomics since 1993. 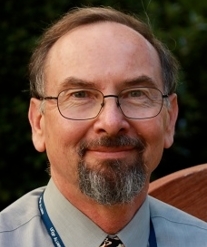 He has also been an Associate Professor at University of California San Francisco, Masters of Physical Therapy Program and an Associate Professor on Professional Ethics and leadership for the DPT program at UCSF. Bob was co-founder of Physical Therapy Services of Rohnert Park where he worked from 1979 until 2006. He has provided physical therapy services and ergonomics training to companies including State Farm Insurance Company, Hewlett Packard, Agilent Technologies, JDS Uniphase, Medtronic and the U.S. Coast Guard. Bob received his certificate as an Orthopedic Physician's Assistant from City College of San Francisco, his Physical Therapy Degree from UCSF, his Master's Degree in Exercise Physiology from Sonoma State University and his Doctorate in Health Science from the University of St. Augustine. He is a member of the American Physical Therapy Association, The American Academy of Orofacial Pain, and the International Association for the Study of Pain. An essential resource for the non-medical, non-clinical ergonomist. 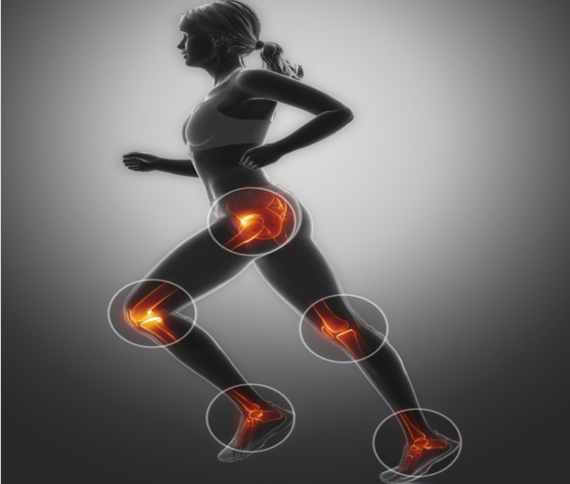 Learn to prevent or mitigate injuries by understanding how the body works and how injuries can occur in this basic-level course. 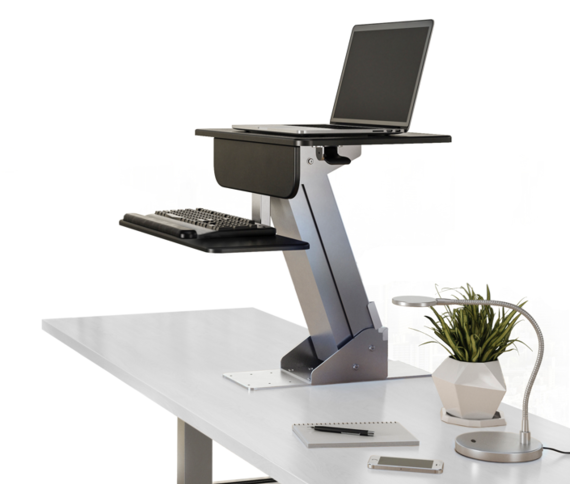 The Ergorise Lift is a fantastic entry level sit/stand solution for offices with existing desktops. Light touch 16" pneumatic height adjustment. Keyboard tray lowers 4" under the desktop. Free Shipping! 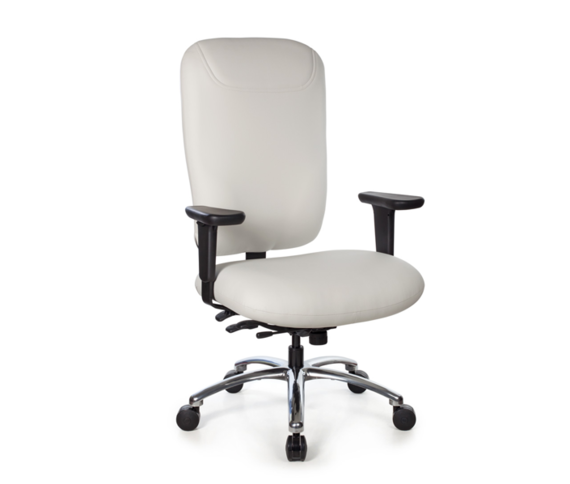 The Back School Plus Size Chair is a sturdy, wide ergonomic chair for taller and larger workers. Rated to 500 lbs. Free Shipping!